This article first appeared in The Edge Malaysia Weekly, on January 5, 2018 - January 11, 2018. THE launch of Malaysia’s Digital Free Trade Zone (DFTZ), touted as the world’s first, was one of the most publicised events this year. It threw two names in the spotlight — Alibaba Group Holding Ltd founder Jack Ma and Catcha Group CEO Patrick Grove. First announced in March, the DFTZ has been open for business since last month. It is aimed at helping local small and medium enterprises get into cross-border trade by leveraging technology. The government anticipates that this joint venture with Alibaba, China’s e-commerce giant, will handle up to US$65 billion worth of goods and create 60,000 jobs by 2025. So convinced were Prime Minister Datuk Seri Najib Razak and Ma of the project’s prospects, that the DFTZ deal was sealed within 10 minutes when the two met in Beijing in November 2016, a jubilant Najib revealed in March. In a nutshell, DFTZ is made up of three main components that combine physical and virtual zones. The first two — the e-fulfilment logistics hub and the e-services platform — will be carried out in collaboration with Alibaba. The third — Kuala Lumpur Internet City — the primary digital hub for the DTFZ will be developed by regional internet firm, Catcha Group, on a 10-acre tract in Bandar Malaysia. What is apparent is that Ma’s Alibaba is the clear, immediate winner from the DFTZ. It has tentacles in commerce, payment and financial services, logistics, cloud computing and other services. It is expected to use the former Low-Cost Carrier Terminal in Sepang as its logistics hub to serve its e-business in Southeast Asia. The regional logistics hub fits right into Alibaba’s plan to extend its reach beyond China and into Southeast Asia. As for Malaysian SMEs, for now, it remains to be seen how many will jump at the opportunity to use the e-service platform to grow sales. The government has already thrown in incentives, announcing that goods bought online will be exempt from tax in the DFTZ as long as they are worth RM1,200 and below — a higher threshold than the earlier RM500 price range. With so much hype around it, the DFTZ’s progress will certainly be keenly watched next year. One of the wealthiest businessmen in Asia, Jack Ma’s involvement in the Digital Free Trade Zone has certainly added a measure of glamour, and drawn global attention, to the project. The 53-year-old’s rags-to-riches story has inspired many. Ma, who famously admitted to having been rejected by Harvard 10 times, is estimated by Forbes to have a net worth of US$38.6 billion. 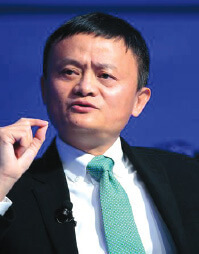 His Alibaba Group Holding Ltd is the world’s largest retail e-commerce firm in terms of gross merchandise volume. The group’s three main sites — Taobao, Tmall and Alibaba.com — boast hundreds of millions of users and host millions of merchants and businesses. In its last financial year ended March 31, 2017, Alibaba saw revenue jump 56% to RMB158.27 billion (RM98 billion), though net income fell 42% to RMB41.23 billion. On Nov 11, Alibaba Group’s Singles’ Day sales — China’s version of Black Friday — hit a record US$25.3 billion, cementing the day as the world’s biggest shopping event. Alibaba Group invested another US$1 billion in June to lift its stake in online mall Lazada Group from 51% to 83%. It will be interesting to see what further moves Ma makes to expand in Southeast Asia. Rapidly growing e-commerce there will see it go head-to-head with rivals like Amazon and JD.com, which are also driving investment into the region. These are interesting times for the 42-year-old internet entrepreneur, who will be applying his years of digital experience to his first property project — Kuala Lumpur Internet City (KLIC). A part of the Digital Free Trade Zone, KLIC is envisioned as a satellite service hub in Bandar Malaysia and a digital hub for at least 1,000 global and local internet companies. Not surprisingly, more than a few eyebrows were raised when Grove’s Catcha Group was given the task of spearheading the project. After all, the group is known for building and investing in internet companies, not for property development or construction. There is speculation that Rev Asia Bhd may formally take on the role of master developer of the proposed internet city. Rev Asia, Catcha Group’s only Malaysian-listed company, recently disposed of its core advertising and social media assets to Media Prima Bhd, leaving it without a core business. It must now find one if it is to remain listed. Grove, a survivor of the dotcom bust of 2000, was estimated by Forbes to have a net worth of US$400 million as at March this year. He has had a string of successes in recent years, a key one being the sale of Catcha Group’s subsidiary, iProperty Group Ltd, to Australia-based REA Group for a cool A$751 million cash in November 2015. 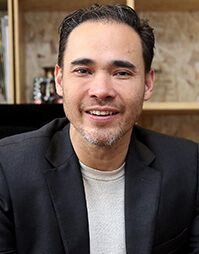 Grove is also known for being one of the founders of iflix, an internet TV service.